That big green guy that you see above is the Hulk.Created by Stan Lee and Jack Kirby in 1962. His alter ego is mild-mannered scientist Bruce Banner. According to Stan Lee he was supposed to be a combination of Frankenstein and Dr Jekyll and Mr. Hyde. 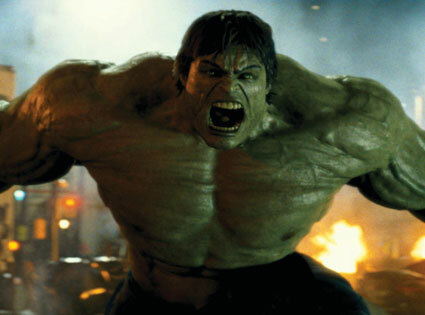 His power, strength and speed increases exponentially to match with his anger. But anger such as that can backfire. It can cause fear and panic among your loved ones and others. It’s the reason that created the comic series Planet Hulk and World War Hulk. It’s the reason we had Nick Fury send Wolverine to take care of the Hulk in Wolverine Vs. The Hulk. Our Psalmist King David said it beautifully as he said in the scripture above. We must stop being angry and turn from our rage. Nothing good ever comes from it. Relationships of all kinds fallen to anger of another. The fear of your outburst causes people to not want to be around you and fear that you may cause them harm. It’s a shame where people feel that have to walk on egg shells to make sure you don’t incur their wrath. I think of a quote from Yoda, “Beware of the Dark Side. Anger, Fear, Agression. The Dark Side of the Force are they. Easily they flow. Quick to join you in a fight. If once you start down the Dark Path, forever will it dominate your destiny. Consume you it will.” It does consume. Many times the anger is systemic. Anger comes from something deep down in that person’s soul that is hurting. Anger can come from depression caused by the lost of a loved one, the break up from a relationship that you thought it would last just to name a few. Anger can come from regret from losing the big deal, not getting the job you so desperately needed, not giving it your all in everything that you do. Whatever is you need to pray that God can bring you through it. He can and will but only if you let him. Seek help to get it under control and to find the root to the problem. Don’t forget that God is greater than any problem you maybe facing. Heavenly Father, thank you that you can speak to my soul and calm my spirit. My anger can consume me. I need to be consumed by your holy spirit. Please grant me your peace. In Jesus Name, Amen.